Just like us, our dogs can suffer from allergies. Whether their air-born, seasonal or food related, allergies can make our dogs miserable. From itchy eyes, runny nose and constant licking the symptoms of allergies are widespread. Not only that, but the causes of allergic reactions are often difficult to pinpoint. So, if we can’t find the source of the allergy all that’s left is to manage the symptoms. While our choice of medication is vast, it can often be challenging to find something suitable for our dogs. Antihistamines are the go-to remedy for tackling the signs of an allergy. 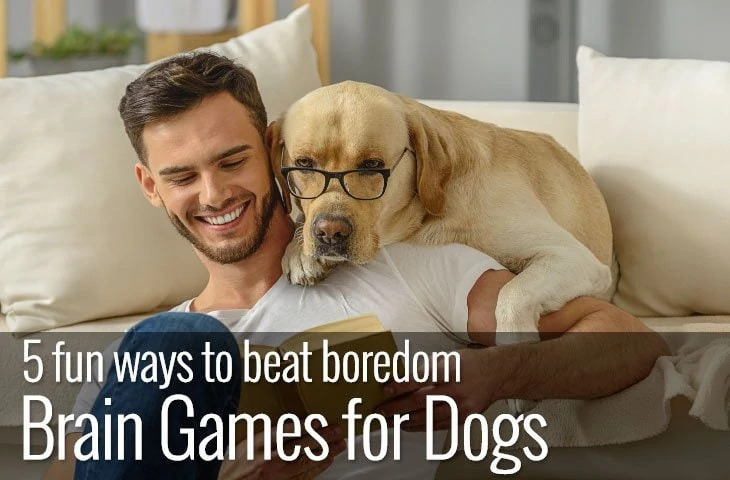 But can our dogs benefit from the same antihistamine choices that we have? Zyrtec is the brand name for an antihistamine called cetirizine. A newer drug, cetirizine is often referred to as a second-generation antihistamine and is relatively non-sedative. One of the benefits of Zyrtec is that it works quickly and can relieve symptoms in as little as an hour. Not only that, but Zyrtec has very few serious side-effects. Despite its reputation as a non-sedative drug, it is worth noting that it does cause drowsiness in some people and dogs. Although intended for human use, Zyrtec is often prescribed by Veterinarians to help ease the symptoms of allergies in dogs. All antihistamines work by reducing or blocking a naturally occurring organic compound called histamine. When our own or our dog’s body encounters something that it is allergic to, it reacts to defend itself. As part of this defence system, the body sends out white blood cells to fight the allergen in addition to neurotransmitters called histamines. Histamine’s role is to warn the immune system of potential attackers, including allergens. Histamine achieves this by causing an immediate inflammatory response within the body. What are the uses of Zyrtec? In dogs, Zyrtec is primarily used to treat allergies that affect the skin, such as allergic dermatitis and Canine Atopic Dermatitis (CAD). Skin allergies occur either through direct contact with an allergen, poison ivy or an insect bite for example. Or through inhaling an allergen that causes an allergic reaction on the skin such as dust mites or pollen. If left untreated, allergies can create more serious problems. Dogs that continue to scratch or lick can suffer from secondary bacterial or yeast skin infections that need antibiotic treatment. So, Can I give my dog Zyrtec? 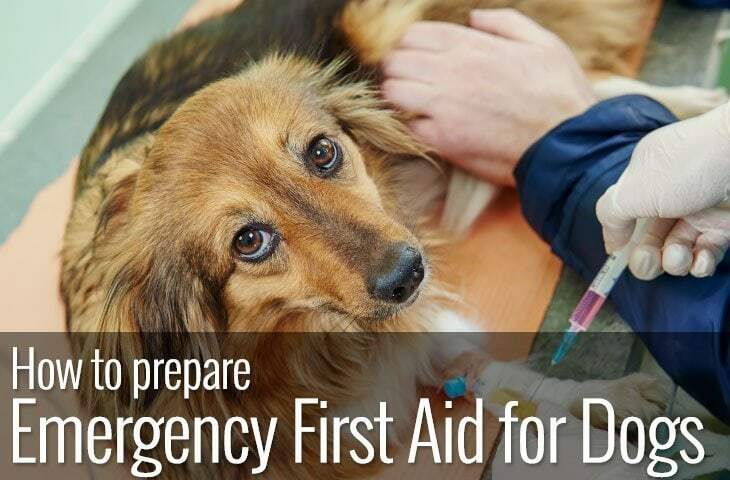 Before you self-diagnose your dog with an allergy, do check with your Veterinarian. Although allergies are by far the most common cause of skin irritations in dogs, there are other conditions with similar symptoms. Not only that, but Zyrtec is approved for human use only and as such is It is not FDA approved for use in animals. Your Vet is in the best position to recommend whether it is appropriate for your dog. 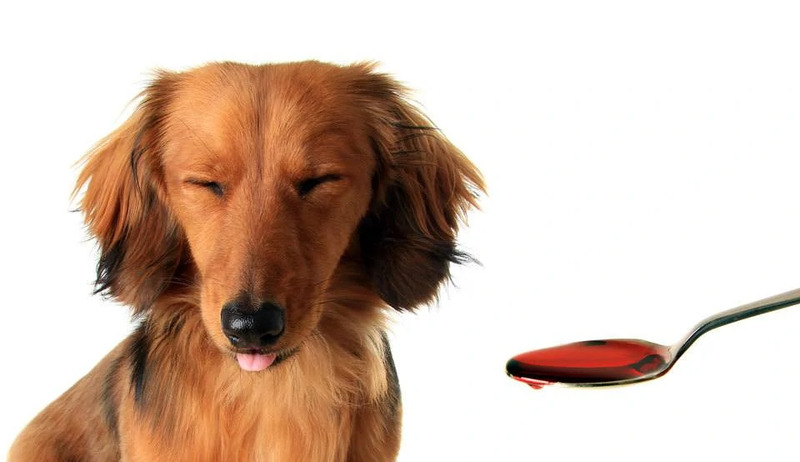 Despite this, if your dog has previously been prescribed Zyrtec without experiencing any side effects it can prove very useful in helping with allergies. 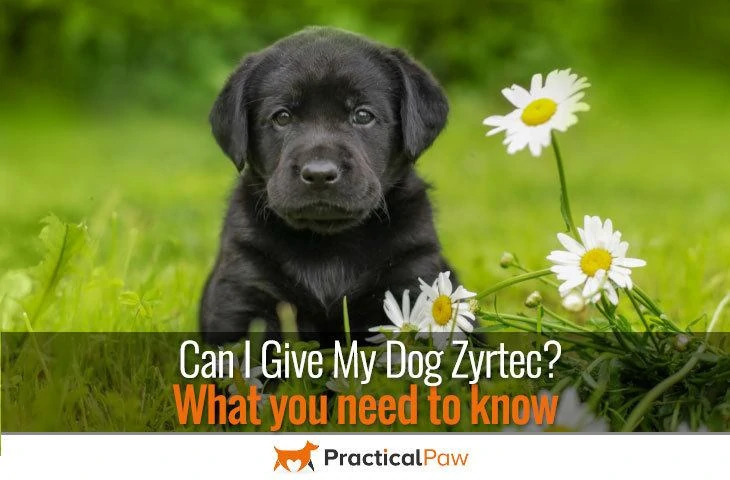 Although considered safe some precautions need to be considered before giving Zyrtec to your dog. 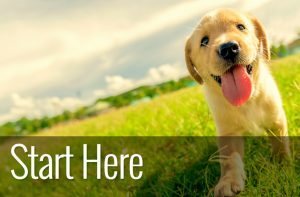 While Zyrtec can offer your dog much-needed relief from allergic symptoms, it’s vital that you choose the right formula. Zyrtec is available in two forms; Zyrtec and Zyrtec D. While Zyrtec’s main ingredient is Cetirizine HCl, the ‘D’ formula contains both Cetirizine HCl and Pseudoephedrine. Pseudoephedrine is a decongestant found in many cold and cough remedies. Occasionally used to relieve respiratory conditions like bronchitis and nasal congestion in dogs it is however potentially fatal. The range between therapeutic and toxic dose is so sensitive that its use is controversial and not widely recommended for pets. If you think that your dog has ingested Zyrtec D by mistake, contact your Veterinarian immediately. Finding the right solution to an allergy can be frustrating and includes an element of trial and error. 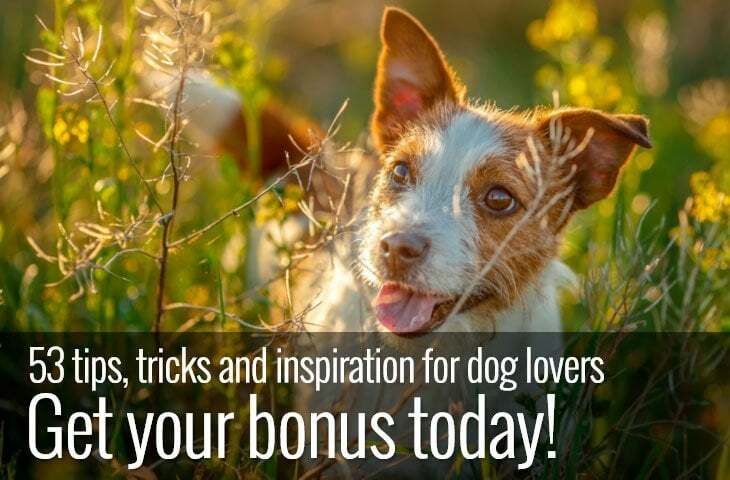 Although treating your dog with over the counter medication is convenient and cost-effective. A correct diagnosis is essential in getting the most appropriate treatment for your dog. Just like us, our dogs can be allergic to almost anything in their environment. From dust mites to grass to feathers, the list of potential allergens is long. Unfortunately, this makes finding the cause of the allergy difficult. Not only that but even if we do uncover what is causing the issue, we can’t always prevent our dogs from coming into contact or inhaling it. As such, managing the symptoms of an allergy is sometimes all that’s left to help our dogs feel better. So, can Zyrtec provide your dog with relief from allergies and is it safe? Antihistamines are the most common way of treating allergies in both humans and dogs. Not only are they convenient, but they are a cost-effective medication with little or no serious side-effects. Zyrtec could provide your dog with a much-needed respite from uncomfortable symptoms and keep their allergy at bay.